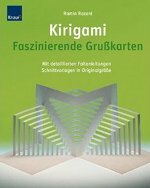 What is the most difficult model in this book ? That's hard to say. The models are marked with 1, 2, or 3 stars. I've given two 3-star models a try, the pueblo is one of them. The other one I didn't post a picture of, but that one might be the most difficult one, Guernica. I'm not happy enough to post a picture of it, though. And funnily enough I couldn't find a picture of it online. However, if you take a look at https://en.wikipedia.org/wiki/Guernica_(painting), you'll get the idea. Judging from the painting, guernica does look quite hard ! Coluld you PLEEEEEEEEEEASSSSSSSEEEEEEEEEEEEEEE make instructional videos for these? They are so cool! they are so beautiful could you please make an instructional video for one or some of them? I like all the design that you made. I want to learn about that in how to make it. Thank you for sharing your idea. May I ask, is it possible to follow the instructions/diagrams in the book if I do not read German? Would it be extremely challenging to make the models without an understanding of German?